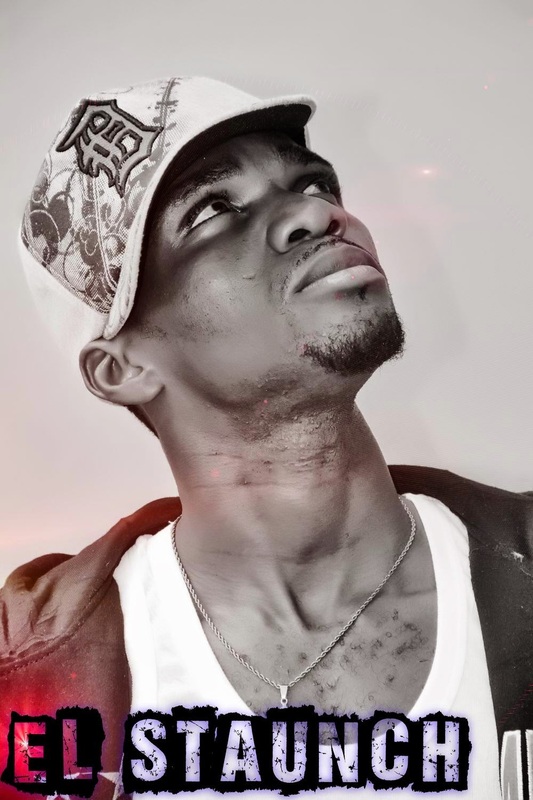 Swit Summer Blog: 10 THINGS YOU DO NOT KNOW ABOUT RAPPER EL STAUNCH! 10 THINGS YOU DO NOT KNOW ABOUT RAPPER EL STAUNCH! My name is Michael Godson Okechukwu and I'm from the Eastern part of Nigeria. My stage name is Elstaunch aka Grace 19 aka G19. 2. WHEN DID YOU BECOME INTERESTED IN MUSIC AND HOW? I'll never forget the 19th of September 2003, that was the first day I became interested in music. That day I watched a song by Jennifer Lopez ft LL CooL J "ALL I HAVE". After watching it, I realized I could do this, I could even do better. That was the first day I got inspired and since then I've been doing my best to get to the level that I want to be. 3. WHAT MUSIC INSTRUMENTS DO YOU PLAY? For now I'm still working on myself. Learning how to play the acoustic guitar. Actually, I've enrolled for it and in a couple of weeks I should be a pro. 4. ANY HISTORY OF MUSIC IN YOUR FAMILY? Hahahahah, my mum sings in our morning devotions and that's all. Besides that, no other musician in our family. 6. WHAT ELSE DO YOU DO BESIDES MUSIC? Actually, one of my many talent is photography. But early this year, I decided to come down to Lagos to pursue my music career fully. 7. DO YOU HAVE ANY SINGLES PRESENTLY? No, I don't have a single out yet. Presently, but we are taking our time to prepare something classic from now till June. We are looking at producing alot of wonderful tracks with wonderful studios like Spurdust productions, Monster beat vibes, Snickerz n micz productions etc, talking about great producers like Ejor, Juschi, Young D, Jodee productions etc. 8. THE NAME EL STAUNCH AKA GRACE 19 OR G19, WHAT DOES IT MEAN? El is Spanish for "THE" Staunch stands for being loyal. So the Name El Staunch stands for "The Loyal One". G19 or Grace 19 both stand for the same thing. And I got that name when I first got inspired to go into music the 19th of September 1999. The "Grace" on the other hand, was the name I was called in my photography days. 9. WHAT DO WE EXPECT FROM YOU THIS YEAR 2015. By the grace of God, from now till September 2015, we should have at least 3 singles and at least and a full album by the end of the year with a lot of videos. 10. GIVE A SHOUT OUT! I wanna say thank you all for being with me all the while and for believing in me. Igbo kwenu hey! Nothing dey happen Anyi no ya! www.switsummerintl.com and remember to like our facebook page and follow us on twitter @switsummerintl.